Two towns, two coastlines, two composers and both with rich, magnificent histories. Who are we talking about? 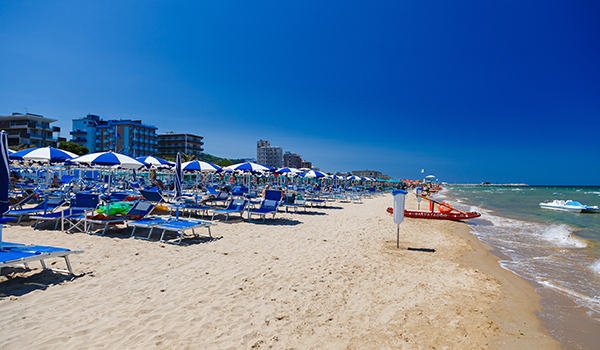 Along the sandy beach of the Adriatic sits the town of Pesaro while near the coast of the Tyrrhenian Sea, encased by its fortified walls, lies Lucca. Every summer both towns come alive to the sound of opera. The Lucchese have always been a proud people. The city became an independent republic in 1160 and remained so for nearly five hundred years. The fortified walls played in a significant role in preserving the independence of the city. They are famous today as one of the very few intact set of walls built during the Renaissance that surround a town. 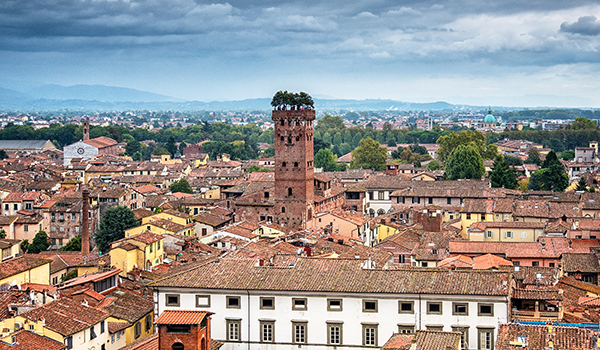 Within these walls, the charming streets of Lucca, twist and turn, leading visitors into the location of an ancient Roman amphitheatre, the Piazza dell’Anfiteatro where bars and restaurants await. This is the perfect spot to quench the thirst generated from climbing the Guinigi Tower for incredible views of the town and the Lucchese countryside. Unexpectedly, there are a few oak trees at the summit of the Tower! After lunch, museums await the culture vultures. First, the museum within the Villa Guinigi which houses artworks by Jacopo della Quercia, Giorgio Vasari, Guido Reni and Lanfranco. Next, the Villa Mansi which contains a range of tapestries and Risorgimento art, much of it displayed in the formal apartments which the Mansi family occupied when living in the palazzo. 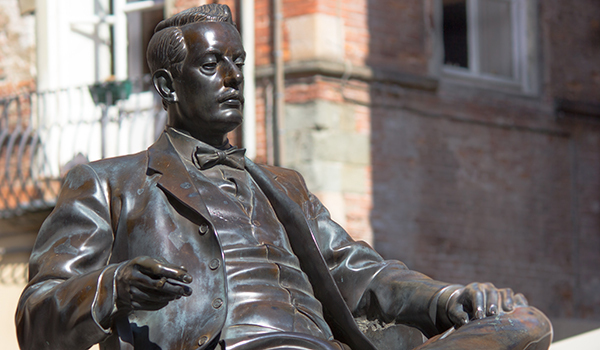 Lucca claims Giocamo Puccini as their own. Born in 1858, Puccini composed some of the world’s most recognised and most popular operas, including La Boheme in 1896, Tosca in 1900, Madam Butterly in 1904 and Turandot in 1924. Puccini came from a long line of musicians as he forefathers held the position of maestro di cappella of Lucca’s Cathedral of San Martino for 124 years. Later in life, Puccini built a property at Torre del Lago now known as the Villa Museo which is a museum today and which houses the mausoleum of Puccini, his wife and son in the chapel. Each summer, Torre del Lago comes alive to the sound of Puccini’s operas as they are performed in this atmospheric lakeside setting. 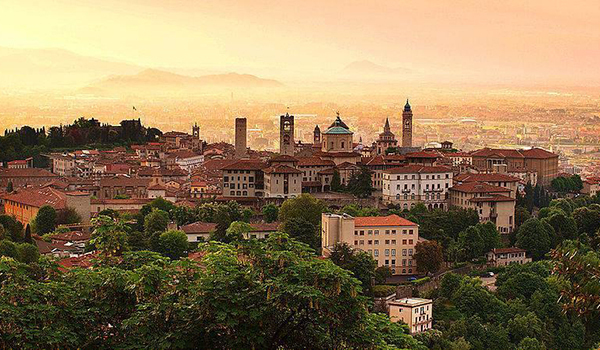 Pesaro is significantly larger than Lucca with a population of nearly 90,000. Its beachfront skyline belies what the splendour of its history within the older parts of the city which are only a few minutes’ walk from the wide golden sands. The Palazzo Ducale and Rocca Costanza are the legacies of the ruling Sforza family, the younger branch of the Dukes of Milan. The Palazzo Ducale once housed the Civic Museum. The artworks are now in the Palazzo Toschi Mosca where Giovanni Bellini’s Coronation of the Virgin is the highlight. 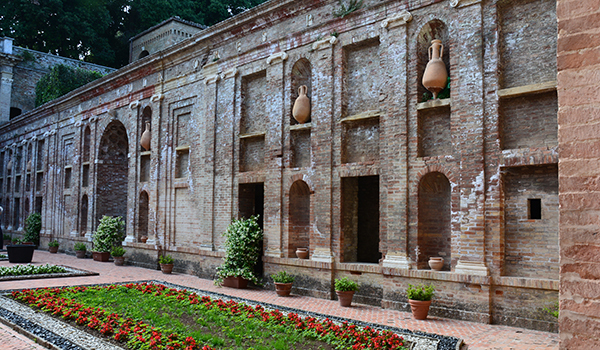 The Sforza ceded to the Dukes of Urbino and in the 1530s, Duke Francesco Maria della Rovere and his duchess, Eleonora Gonzaga, commissioned their summer palace, the Villa Imperiale which sits on San Bartolo hill. As well as the gardens, which are well worth a visit for respite from the summer sun. The villa contains artworks by Bronzino, Francesco Menzocchi, Girolamo Genga, and Raffaellino del Colle and was the inspiration for the Villa Giulia in Rome. There are numerous churches to visit and a mosaic floor has recently been uncovered in the Duomo; do take coins to operate the lights to see it properly. In 1752, a young man was born into a musical family in Pesaro. Gioachino Antonio Rossini’s father was a horn player and his mother, a singer. At the age of 18, Rossini’s The Marriage Contract was performed in Venice. Two years later, in 1813, following the first performance of Tancredi, Rossini was catapulted to international fame. He is perhaps most widely known for the Barber of Seville. The house in which Rossini was born is now a museum only a short stroll from the Palazzo Ducale. Rossini died in 1868 and left the bulk of his considerable estate to the commune of Pesaro to establish a Conservatory. This is now the Fondazione G. Rossini which is the main sponsor for the Rossini Festival held each summer in Pesaro. Two cities, two composers, two coasts: which do you prefer? Pesaro: Rossini, Dukes and the Art of Le Marche – includes return flights on BA, four nights’ accommodation, most meals, tickets to three opera performances, all gallery and museum fees, a visit to Urbino and the services of art historian, Charles Barber, Christina Hemsley with world-acclaimed soprano, Janis Kelly joining us. To book visit https://www.sapienzatravel.com/tours/post/pesaro-rossini-opera-art-architecture-tours/. Article written by Charles Barber, 9th January 2018.